Besides the looks, is there something else that you need to ponder about while choosing a toilet? The answer is yes. Frankly, when selecting a commode, your decision is based on factors like height, size, and how well it works. We have some of best toilets on our website, take some time and have a look. Some of you might want to avoid the regrets and resist the temptation to cut corners. But it can at times lead to more expenses down the road. So, what are the steps you need to take to get the right toilet for your bathroom? It is simple and the following information can assist you in making the decision. Most people might not know the difference between a two piece and one piece toilet. A two-piece toilet contains a separate seat base and tank and is considered the common option. These two-piece are fitted together; however, you might have a certain issue with the seam, which can be a trouble spot for cleaning. 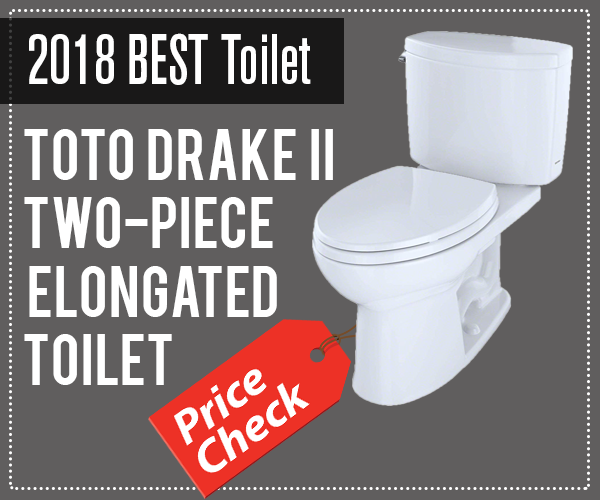 The best part of the two-piece toilet is that it is easy to carry and transport. This is significant for DIYers, especially when the toilet needs to be carried to some other room. With regard to a one-piece toilet, they are a little high-end and expensive. However, the quality and price might vary with regard to the two-piece ones. Their style is seamless, thereby giving a modern look and providing one less area for the germs to remain invisible. Frankly, both the styles have pros and cons but it depends entirely on one’s preferences. The in-wall toilets are one where the tank is invisible, as it is installed inside the bathroom wall. Of course, such toilets need more investment compared to the standard ones, especially when extra effort is needed at the time of constructing the bathroom. However, it has a clean profile which makes it popular and gives a luxe look. Now taking the two-piece one to the extreme is the high-tank toilet. The presences of the retro chain-pull with the tank that is set high on the wall, gives a certain old-world charm to your bathroom. Do you know that a well-designed high tank toilet will simply function as a ‘closed-coupled’ option (i.e. a standard option)? So, the choice ultimately comes down to go for something that is more mechanic in various situations, even though such toilets can be slightly on the expensive side. However, if you want your toilet to be charming and noticeable rather than hidden away, this is a perfect choice. Now another aspect you need to consider while selecting a good toilet is to check whether the flushing mechanism of your toilet is pressure-assisted or gravity-based. The best part of using a pressure-assisted toilet is that it helps in enhancing the natural flow of water caused due to the gravity, thereby providing a stronger flush which leaves the bowl clean. However, you need to keep in mind that the position of the toilet with regard to the main water supply, composition of the wall, and other various factors will affect your decision on installing a pressure-assisted toilet system. One of the most popular toilets is the push-button which provides a modern spa feeling, irrespective of whether your house is less or more traditional. Compared to the push button, lever toilets are less expensive and provide a look that is classic. Another advantage of two flush toilets is that they reduce the wastage of water at the time of flushing. The most common choice is white and clean porcelain toilet, but nowadays many manufacturers provide toilets that range in various colors. Frankly, pure white is the best one with regard to resale value, because it never goes out of style. However, you do need to keep in mind that the plain white porcelain fixtures of different companies will not match with each other. It will be better if you purchase the entire toilet set, tubs, and washbasin from the same manufacturer. Keep in mind that at times fixtures from different manufacturers will look mismatched, and can make the bathroom look subtly, messy and ugly. Just keep in mind that at the end of the day, you would really be having an impressive and clean bathroom if you select the correct toilet. Also, a majority of your decision will be based on your budget and at times it is not a huge issue if you go a little overboard with it. We have done research on choosing best toilet for your home, and we found TOTO toilets have really amazing models. If you want to check, have a look on best toto toilet reviews.